My name is Gemma, I’m 31 years old and I’m 18 months into my PhD in neuroscience at La Trobe University, Melbourne, Australia. 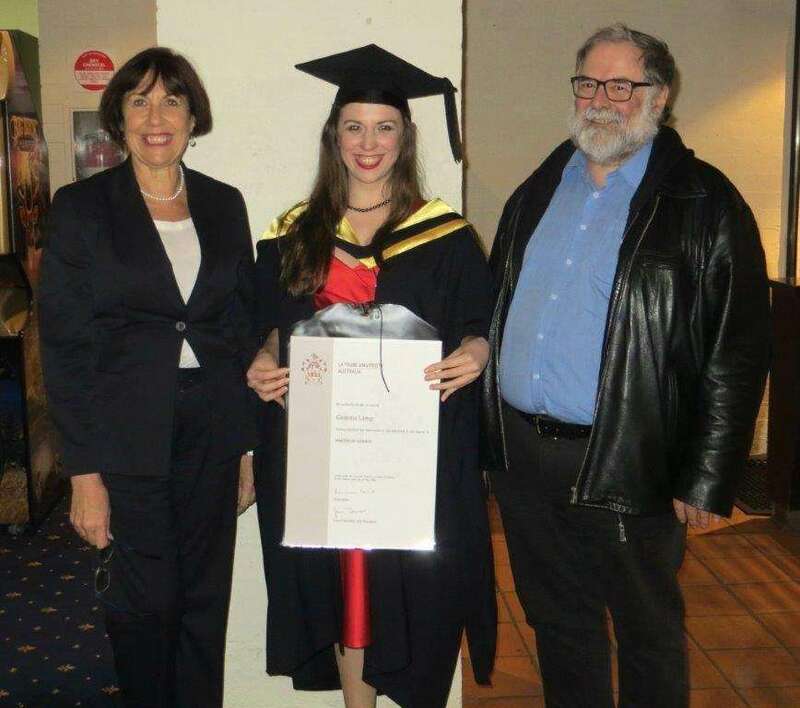 My grandpa had a PhD, my dad has a PhD and my mum just got her PhD last year. I have lived my entire life in academia and never thought I would be doing a PhD… but here I am! I was born into academia. Literally. When I was a baby my mum went straight back into study, and during her lectures one professor used to carry me around while she was speaking. One of my earliest memories is from when I was about three or four years old, I was sitting in a lecture with my mum and I was “taking notes” (actually just scribbling on many pieces of papers) and the lecturer declared that I was the most fastidious little note taker! A lot of my childhood was spent in universities, whether there with my mum as she studied, or later with my dad as he also studied then continued to work at the University. It’s funny when I look back on it now, what seemed so normal to me must be such a weird upbringing for others. Hours spent hanging around in libraries or playing clunky computer games in labs full of the old MacIntosh computers. It definitely meant I was always a fast reader and picked up computer skills quite easily. One of my funniest memories was when my dad had lost a bet to my brother and had to give a lecture with my brother’s pet rat crawling around on his shoulder, my brother and I in the back row cackling with laughter at the students’ wide eyes! I spent so much time in lecture theatres that when I went to university to study, it was like coming home. My parents both attained their PhDs later in life, unlike most people today who seem to go straight through in their early twenties. My dad had worked many jobs in his life, but while working as a clerk while I was quite young he developed a keen interest in the rising field of computers. Upon completing his Honour’s degree he began working immediately as university lecturer. When my brother and I were older, he had a lot more freedom to return to study and returned to finally do his PhD so he could further his career progression at the university. My mother returned to study after working in the field of research and ethics for quite some time. She had recently finished up her role on the board of the local hospital ethics committee and realised her expertise could be translated in a more meaningful and impactful way. In both cases however, they did not find their passion until later in life. In my mum’s case, she worked in many fields until she found what inspired her, in my dad’s case his field did not exist any earlier in his life! In a way, life threw me in that direction too. I began by studying Psychology with the aim of becoming a clinical psychologist for children, and was working as a behavioural therapist for children with autism when I discovered my passion for neuroscience and research. I began working as a research assistant straight after finishing my Honours year, which was supposed to be one year of working in the field before returning to do a PhD. However, life threw me in a different direction as I moved from research assistant to research manager and before I knew it I had been working for seven years. I had completed a Master’s in Science while working, but eventually decided it was time to go back and get my PhD so I could hopefully one day run my own research lab. Over the years I had watched both my parents complete their PhDs, and numerous friends across different fields. 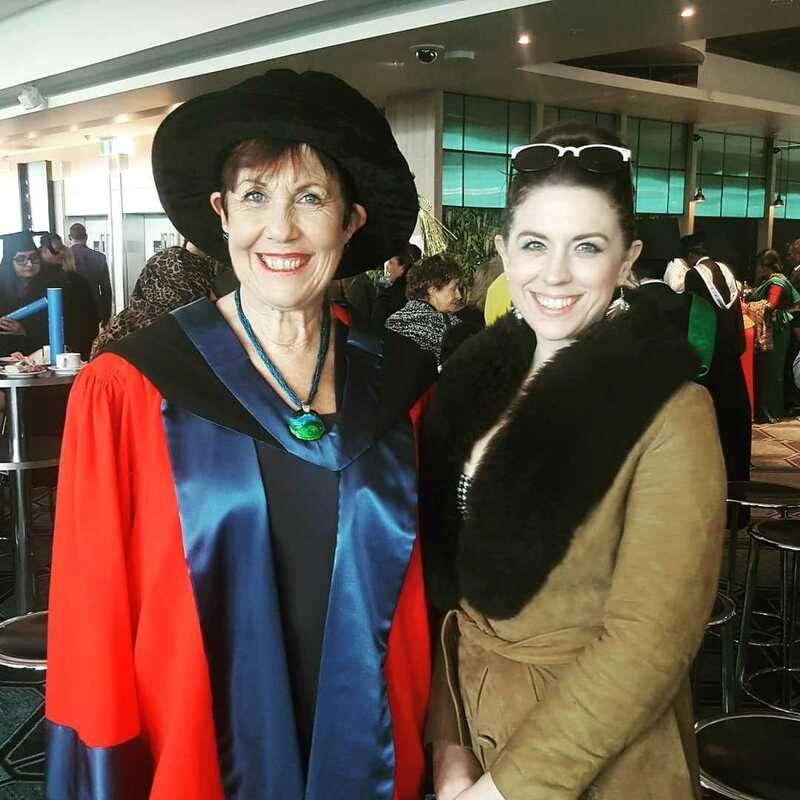 I had always said to myself: “I will do a PhD when I know I really want to do it, when I find a project that inspires me and when I find a way to manage it financially.” One day I found myself in a conversation with Professor Sheila Crewther, who had supervised my earlier studies and had remained a dear friend and role model. Sheila had told me about her recent successful grant, a project which allowed a multimodal neuroimaging project of a simple visuomotor task involving visual attention. At the end of that discussion, I knew that this was the project, this was the right time, and when she offered me a scholarship – I was on my way! My parents were of course thrilled and very supportive. But no more so than when I told them about any other thing in my life that made me happy: whether that was the time I joined a circus as a performer, or whether I was showing off a brand new pair of glittery shoes that I had bought on sale. I think people have often assumed there must have been a lot of pressure on me, coming from an academic family, to be academic. But I would disagree wholeheartedly. 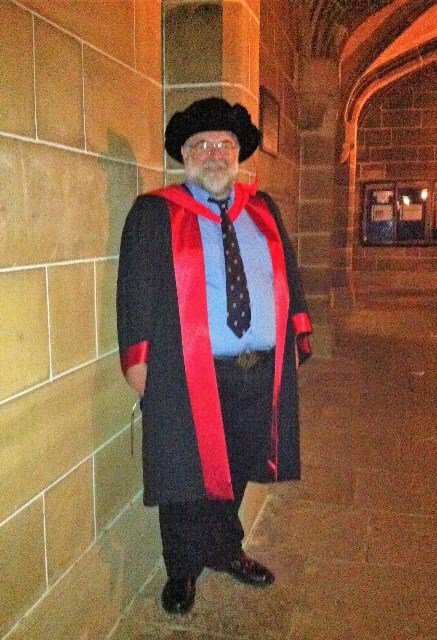 My brother has no interest in getting a PhD but I know my parents are extremely proud of him, as an incredible father to my niece and in every other endeavour he has taken in life. In my eyes, a PhD is not a marker of superiority or success – but rather a sign that someone has found something they are so interested in and inspired by that they let it consume them in order to understand it! Growing up with academic parents has definitely given me some advantages in going further in my study. My mother’s specialisation is in Ethics – a thorough understanding of which is imperative for a career in research! While working as a research manager, there were countless days where I made quick calls to my mum to ask little ethics questions. She taught me everything I need to know to manage and maintain the ethics of a project. The importance behind a proper understanding of informed consent, maintaining records accurately, and what you need to report to an ethics committee. I hear a lot of researchers complain about having to fill in forms for ethics committees, but the importance of keeping your research regulated and safe for all the participants – human or animal – cannot be overstated! My father’s specialisation is Information Systems, primarily focusing on journal ontology (aka the organisation of journals), which again is very useful for researchers! Again, over the years there have been countless phone calls and emails to my dad with the same question: “Can you help me find this journal article?” I know my ability to quickly locate a journal article, and determine its place in the field, has come from the skills my dad has taught me. But more than the actual skills they have passed onto me, watching their journeys through academia has given me insight into the bigger picture, which helps on days when I get the all familiar “PhD blues”. I think anyone who has gone through it can recognise the “PhD blues” – whether its an experiment that hasn’t worked, a paper that has been rejected, the “imposter syndrome” that comes from comparing yourself to others in the field or just the complete exhaustion that often comes with endless work demands. I have watched my parents conquer this and learned from their experiences. My dad’s strategy is always humour. He can make light of the hardest situation and introduced me to PhD Comics which can be both funny and so validating. My mum’s strategy is to talk things out, and she has been a tireless sounding board for any issue I have been confronted with, offering advice when she can and simply listening when I need to be heard. My parents had two very different experiences in their PhDs. My dad worked full time and studied part time, so it took a while for him to finish. However, working in the university helped him to give full focus to both. My mum devoted herself full time to her studies, only working towards the end of her write up, meaning it took less time for her to complete. Both however had the same complaints: the days that felt difficult, the challenges that seemed unachievable. But more importantly, both had the same reward: the feeling of accomplishment at the end, the pride during graduation and the thrill when they first called themselves “Doctor”. I have definitely been inspired by the other academics in my family, in addition to those I surround myself with in everyday life, including my supervisors and my best friend. My primary supervisor, Sheila, has been a constant inspiration to me. I remember being in her lectures during my undergraduate degree and being so engaged. Anyone who spends five minutes talking to her suddenly believes they can achieve anything. She has helped me find what I am passionate about and has helped me work towards and achieve so many goals. My best friend Amy is my rock. She is a clinical trials manager and obtained her PhD long before I even met her. Her resilience and ability to overcome any obstacles life throws her inspires me every day. I would not have made it this far without her support and understanding. While every PhD experience is different, it has definitely helped me to have parents who understand how difficult it is and why sometimes I fall off the radar into a study hole. They also remind me that it’s important to be fulfilled in all aspects of life, and that there is life outside of the PhD. But the most important thing having parents in academia has shown me is that it is possible to achieve your career goals! Gemma Lamp is a PhD Candidate at La Trobe University, Melbourne, Australia, working under the supervision of Prof Sheila Crewther and Prof David Crewther. Gemma’s research interests include neuroimaging, attention, working memory and science communication. Gemma’s Honours and Master’s research focused on mapping the neuroanatomical activation found in working memory, while her PhD focuses on multimodal neuroimaging to understand the timing of visuomotor and attention neural activation. Gemma also worked in neurorehabilitation and recovery at the Florey Institute of Neuroscience and Mental Health, finishing up her role as research manager in 2016 before embarking on her PhD. To date she has published six journal articles, one textbook chapter and several conference presentations, has been awarded two small grants and one PhD scholarship, and was recently elected as the Student Representative of the executive committee of the Australian Cognitive Neuroscience Society. If you enjoyed reading this article, why not check out our other guest posts, and resources below. One of the things we’re most passionate about is supporting early career life scientists and PhD students. We know how tough it is - so we hope you find these helpful! My PI & I: What Makes A Good Student-Supervisor Relationship?